WVU Medicine Staffing Solutions is a system-wide resource pool of nurses that travel to any of our hospitals and/or clinics to supplement critical staffing shortages and vacancies. Staffing Solutions Nurses enjoy employee benefits based on full-time equivalent status, short and long term assignments, and competitive pay. We are surrounded by green mountains, flowing rivers, and peaceful trails. Our network is central to metropolitan areas including Pittsburgh and DC. Our surroundings provide us with great adventures from hiking to white water rafting. We find the best people for each role. This ensures that your coworkers feel like family. WVU Medicine is West Virginia’s leading provider of advanced medical and surgical care. Employees exhibit knowledge, commitment, compassion, and excellence. We offer competitive pay and benefits because we want to attract and keep the best employees who will share our commitment to the highest quality patient care. Pursuing a career at WVU Medicine means you have access to many challenging and rewarding opportunities. Generous benefits for your health, life, and future. WVU Medicine wants all employees, whether clinical, clerical, service, or administrative, to grow professionally and personally. Any investment in employees is an investment in the future of the organization. That’s why WVU Medicine offers ongoing training and education. West Virginia is known for it’s friendly people, beautiful mountains, and rich history. It’s a place for the young and the young at heart, singles and families, adventurers and peace seekers. Come explore, connect, and make yourself at home. We are hiring for many new and exciting positions. 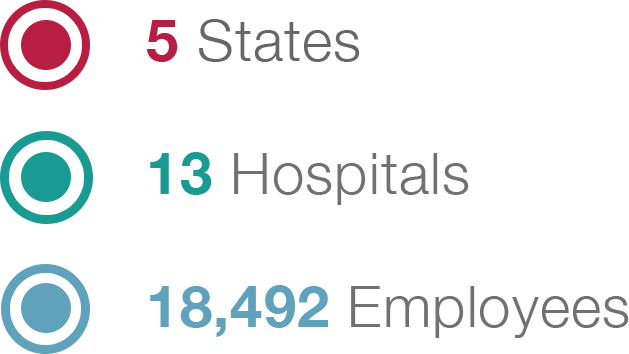 To ensure patients who require state-of-the-art and specialty care get it here, without leaving the state, we need you. For specific questions or more information about WVU Medicine Staffing Solutions, fill in the form and a representative from Human Resources will contact you directly. For general hiring questions contact HR at 304-598-4075. If you need accommodations for any part of the employment process because of medical condition or disability, please contact Human Resources at 304-598-4075 or toll-free at 800-453-5708, or email humanresources@wvumedicine.org to let us know the nature of your request.